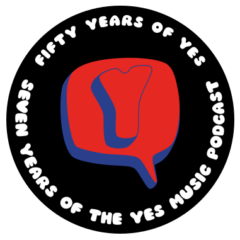 I’m really enjoying the weekly exploration of Yes albums and I hope you are too! In between these episodes, I’m also going to start doing a few interview specials. This is because I know there are many people out there who know more than me about aspects of Yes and have different perspectives. I’d like to hear what they have to say and also share this with you. If you have a story to tell, why not get in touch? In the meantime, watch this space for some great conversations…coming soon.